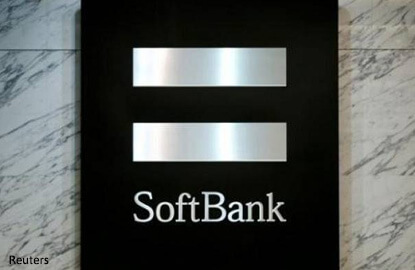 TOKYO/HONG KONG/BENGALURU (Feb 27): Japan's SoftBank Group Corp is close to making an investment in U.S. office-sharing startup WeWork expected to be worth over US$3 billion, CNBC reported on Monday, as it expands its reach beyond tech and telecoms. Led by founder Masayashi Son, SoftBank has made a string of surprising acquisitions and investments over the past months, most recently an all-cash deal to buy asset manager Fortress Investment Group. The deals come as SoftBank moves towards cutting-edge tech investments as telecoms services markets mature, announcing last year the creation of a tech investment fund with Saudi Arabia that could grow to US$100 billion and make the group one of the world's largest private equity investors. SoftBank is looking at a US$2 billion primary tranche of funding in New York-based WeWork, followed by a secondary round worth more than US$1 billion, CNBC reported, citing an anonymous source. The company could increase the size of the secondary investment to nearly US$2 billion for a total investment of almost US$4 billion, CNBC added. If the deal closed, WeWork would be valued at more than US$20 billion. SoftBank had been in discussions for some time regarding an investment, two people at one of WeWork's investors said, without elaborating. Chinese private equity giant Hony Capital, its backer Legend Holdings Corp and property developer China Oceanwide Holdings Ltd, among others, last year ploughed US$700 million into WeWork. The deal valued WeWork at US$16.7 billion, Hony said — less than that reported by CNBC, but still making it among the world's most valuable startups. SoftBank shares fell as much as 2.3% in morning trade, compared with a 1.4% fall for the benchmark Nikkei average . SoftBank, a diverse company that holds stakes in U.S. carrier Sprint, Chinese e-commerce giant Alibaba and other firms, last year bought chip designer ARM Holdings, Britain's most valuable technology company, for US$32 billion. Son also promised a US$50 billion investment and 50,000 new jobs in the United States, after meeting U.S. President Donald Trump in early December. Some of SoftBank's moves have caused concern among analysts, as it is wrestling with a heavy debt pile.